This letterpress notecard design features your initials in a font and ink color of your choice. This design is simple and clean, and a perfect card for the minimalist. Order these personalized cards for yourself or as a gift for the holidays or a birthday. 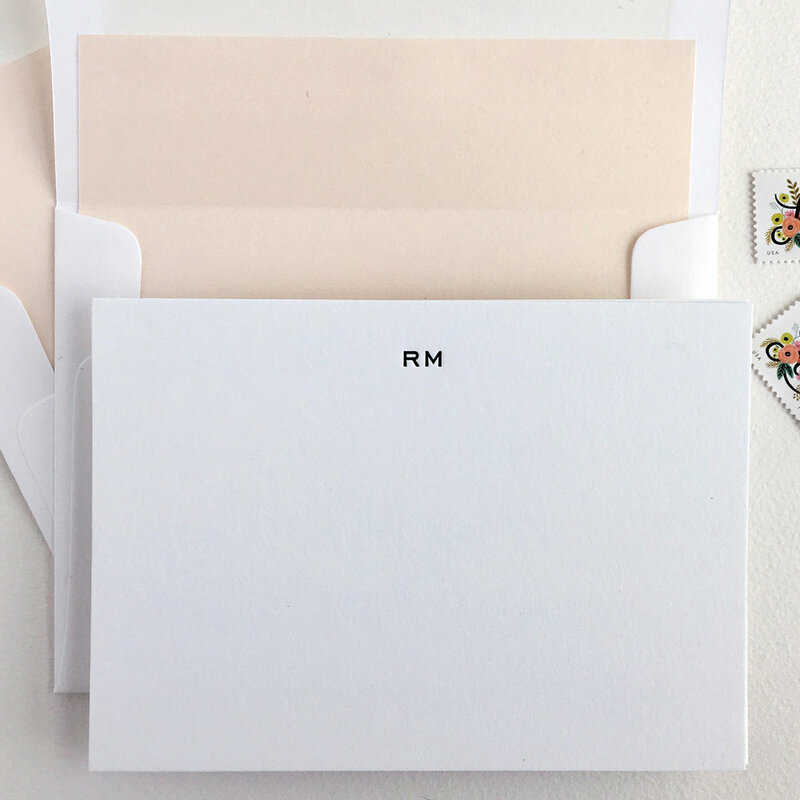 We love pairing a dark ink with a soft colored envelope liner for some contrast.